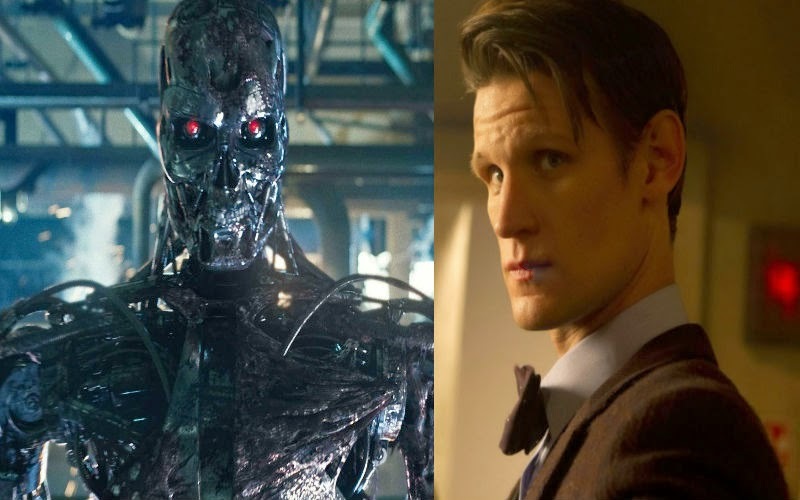 According to a new report from Deadline, the latest Terminator film has a new addition to its cast-and what better person to cast in a film about evil time-travelling robots than the Time Lord himself, Matt Smith, fresh off from his 3 year run as The Doctor on Doctor Who. Skydance Productions confirms this on their twitter account. It is being said that Smith will play a significant role for this film that will circle back into the second and third films (like a big ball of wibbly wobbly timey wimey stuff). How exactly it will play out has yet to be determined, but it has been stated that his role will be major in the film. Joining Smith on Terminator: Genesis are Emilia Clarke (Sarah Conner), Jason Clarke (John Connor), Jai Courtney (Kyle Reese), Day Okeniyi (Danny Dyson) and Arnold Schwarzenegger.